Here's a beautiful version of my song, "Let it snow" from Holly Tamar. Thanks, Holly. 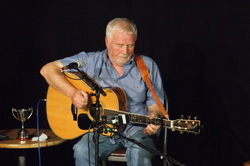 Thanks to Allie Fox and the audience at the 21st birthday of the String Jam Club in Selkirk. It was a privilege to be asked to play. All the performances were great and David Little the sound engineer did a magnificent job. Thanks to the film crew, director and editor at Countryfile for making me and my orchard look presentable on BBC1 and thanks to Matt Baker for helping me through the interview. 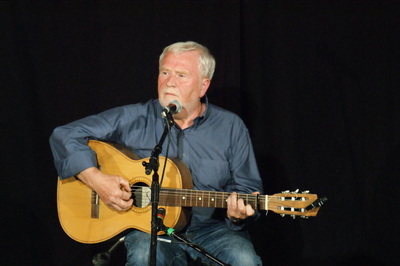 Thanks to Marianne at Leith Folk Club, to Harry at Stirling Folk Club for a great gig, to Tom and Jane Fairnie for arranging the house concert to South Lanarkshire Retired Teachers for inviting me to play for them at the Popinjay and to Murray and the audience at Edinburgh Folk Club Songwriting competition. Here's a couple of photos of me playing "Wooed Away" at the Pleasance. Two are from the songwriting contest and the third is from the gig with Martin Carthy. "Wooed Away" won the songwriting contest. I've uploaded a recording to Soundcloud - so it's available for free. A big thanks to everyone who came along to the Wee Folk Club to hear me and Wendy Weatherby, particularly to the folks from San Francisco and Napa who bought my CDs and asked for a recording of Wooed Away. You'll find it on Soundcloud. Thanks also to Moira for organising everything and to Rachel for her excellent songs. Last year I was invited by Astrid Jaekel, tutor at the Edinburgh University College of Art, to get involved in a storytelling project for their first year Illustration students. On 3rd March in The Wee Folk Club's room at the Royal Oak, I played a special gig of story songs for First Year Illustration Students from Edinburgh University. A couple of weeks ago we were invited to the exhibition of their work which was great (- see left). This year I played "Dig", "The Devil and the hangman", "The Ghost with the squeaky wheel", "Don't waste time on why" and "Harthill". A few students turned the story songs into comic books. After the coursework has been assessed I'll be able to show them in more detail. Out now - "Next Time". especially Coda on the Mound in Edinburgh and Atkinson-Pryce Books. "Next Time" was Celtic Music Radio's CD of the week. "Next time" is on sale from the website shop using Paypal. "Next Time" is distributed by Proper Music Distribution. "Little Stories" is on sale again here at £10.00. Scotland on Sunday - four stars - "A wistful, lyrical windfall"
The Scots Magazine - "A master of the craft "
Living Tradition Magazine - "Another exceedingly accomplished collection - an excellent recording- a significantly fine songwriter album." 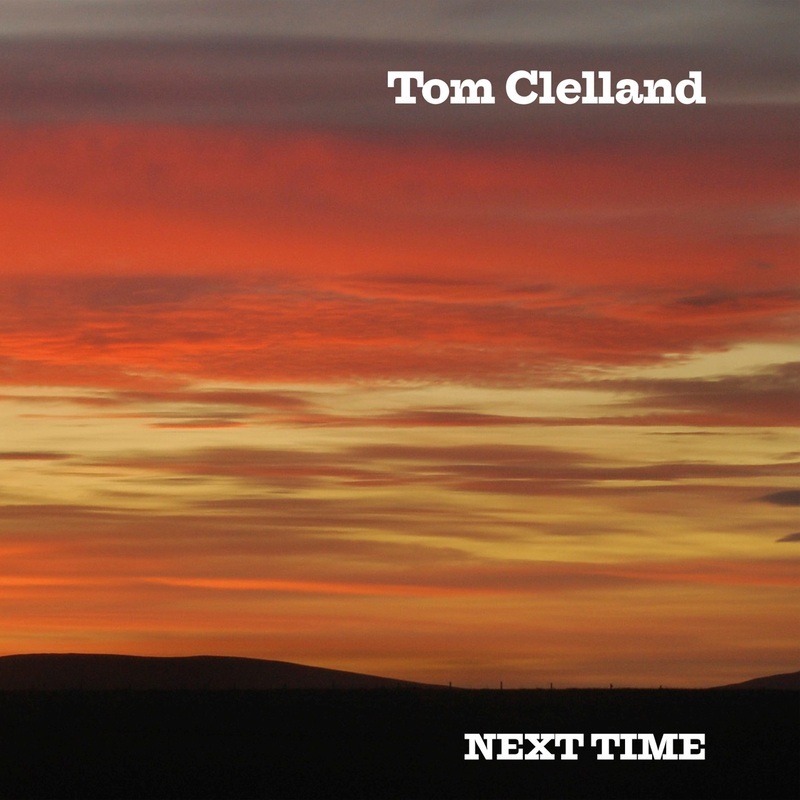 "Next time is the fourth album by the Scottish singer-songwriter Tom Clelland. On vocals and guitar he sings his own stories in an impressive way. Backed by several guests on pipes, bass, accordion, banjo, cello amongst others. Totally unknown to me, but this first acquaintance is a more than pleasant one. 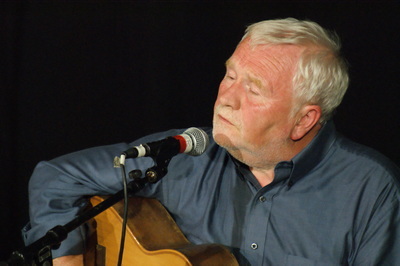 Clelland seems to be a master-storyteller who, with sober, effective musical arrangements, bewitches his listeners with pure, sometimes sensitive songs. At his best in songs like "Dig/Lochanside" and "All your troubles". Fragile songs, sung calmly and with affection. An album to treasure, to listen to and let you carry away into the world of (Tom) Clelland. " Lanark-based singer-songwriter Tom’s been a bit of a best-kept secret, whose talents I discovered through his debut album Little Stories and subsequently revisited on the fine follow-up Life Goes On, since which time Tom’s also contributed to an album of songs from the poetry of Robert Louis Stevenson. But now at long last he’s got round to releasing a third solo album. It proves another exceedingly accomplished collection that is if anything even more illustrious a set than its predecessors. It contains no fewer than five songs that have already won songwriting prizes, including Carrion Craw (commemorating the battle of Harlaw in 1411), I Think He Liked The Ladies (musing on a couple of old friends who died unexpectedly), the disc’s reflective title track, and most notably Dig (concerning Tom’s maternal grandfather, a miner who was a tragic victim of both coal-dust and trench warfare). A further prize-winner, What’s Waiting For You, an evocative portrait of the Clydesdale horses, made a strong impression when I heard it on the Greentrax label’s themed CD Gentle Giants a few years ago. But there are other glories of songwriting elsewhere on this new CD too, the best of which are probably the melancholy, gently poignant Could Fade Away, which was inspired by a friend’s account of accidentally meeting his ex-wife in the street after they’d simply drifted apart, and the pensive All Your Troubles. A particularly satisfying seal is set on the high quality of Tom’s songwriting by the lovely sound of the album: it boasts an excellent recording, which is superbly warm yet both conveys and retains the necessary intimacy and approachability without sacrificing clarity of expression or internal balance. It helps that Tom has chosen to make the whole album using almost exclusively acoustic instruments (with only Davie Scott’s keyboards being plugged in); this gives a refreshingly uncluttered feel to the proceedings and makes the most of all the individual elements, from Tom’s own undemonstrative but beautifully effective guitar playing to the ancillary contributions of Wendy Weatherby (cello), Steven Polwart and Clive Gregson (guitars), Mairearad Green (pipes, accordion), Russell Ballantine (dobro), Kris Koren (mandolin), John Weatherby (banjo) and Fiona Cuthill (fiddle). Delicious cameos such as Clive’s playing on the easygoing Send Me Another Smile and Mairearad’s powerful rendition of the piping tune Lochanside (serving as a postlude to Dig) are worthy of individual mention too. Verdict: with Next Time, Tom’s produced a significantly fine songwriter album that deserves to win him some prizes in its own right. 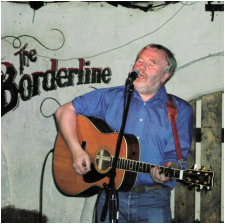 Next Time stars Lanarkshire-based singer and songwriter Tom Clelland in a completely self-penned album which deals with such themes as World War One and how gas attacks there, and subsequent work down the pit, consigned his grandfather to Erskine Hospital. Warfare even before that is also recalled in Carrion Craw, a ballad of the Battle of Harlaw in 1411 and What’s waiting for you, a celebration of an elderly Clydesdale awaiting retirement. The album also rings a bell for the children of the Sixties with a song about Jack Jackson and his Saturday afternoon show on the Light Programme, and much more besides. This is folksinging as it should sound i.e. acoustic, not electric, put across by a master of the craft with the help of a few other talents as he is quick to admit. 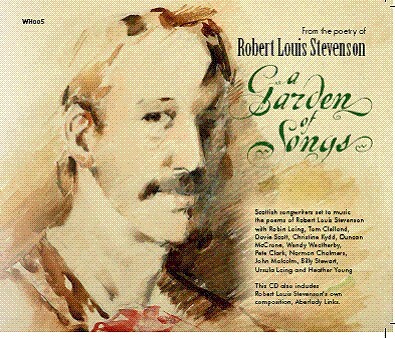 And, as Tom is a devotee of Robert Louis Stevenson, the name of his label comes as no surprise either. The CD includes the prize-winning songs "Carrion Craw", "What's waiting for you", "I think he liked the ladies", "Dig" and "Next time". Other musicians on the CD are Clive Gregson, Steven Polwart, Wendy Weatherby, Russell Ballantine, Fiona Cuthill, Mairearad Green, Davie Scott, Kris Koren and John Weatherby. The CD was engineered and co-produced by Kris Koren at Sound Sense Studios and mastered at Castlesound Studios.